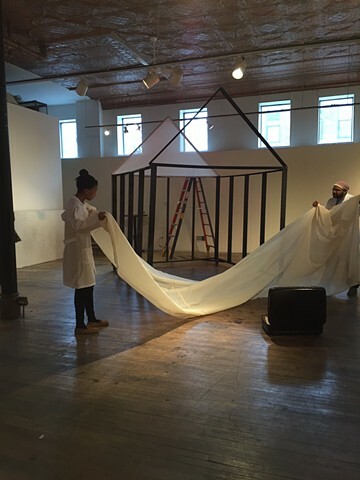 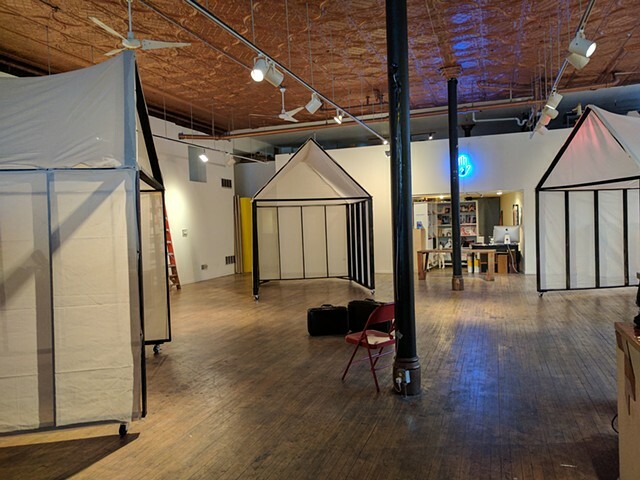 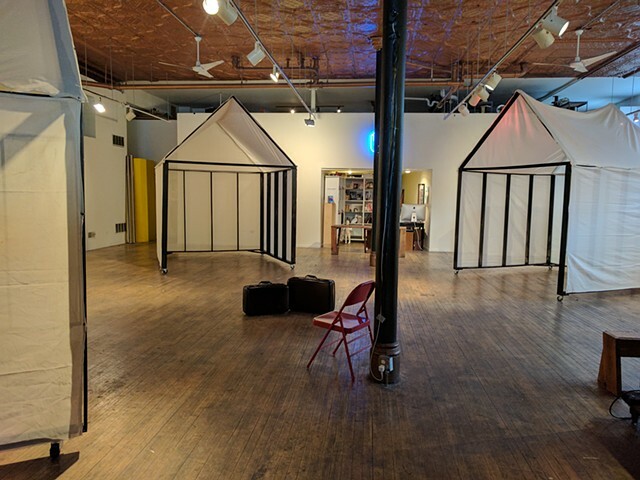 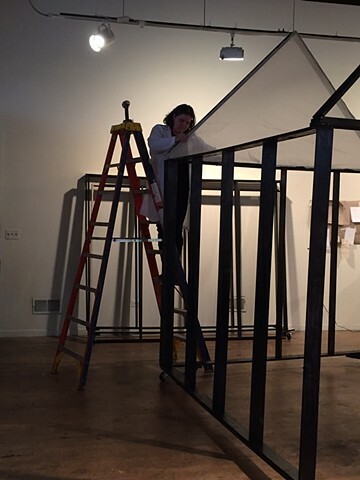 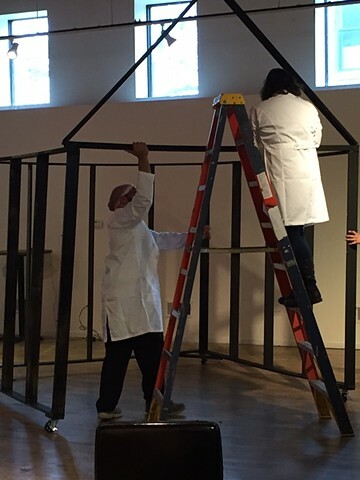 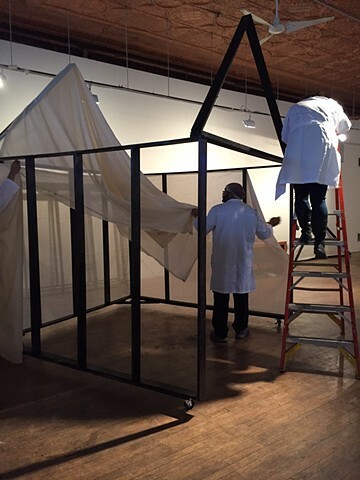 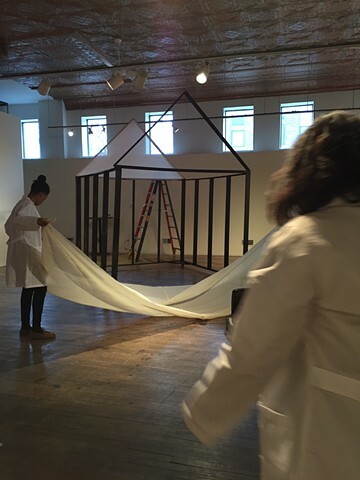 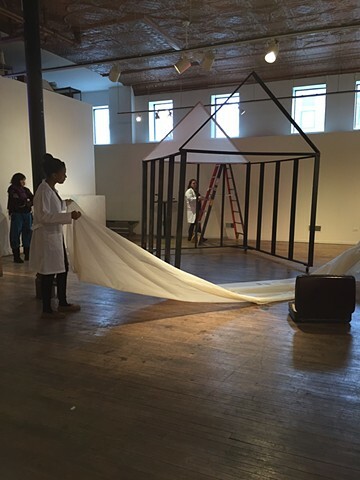 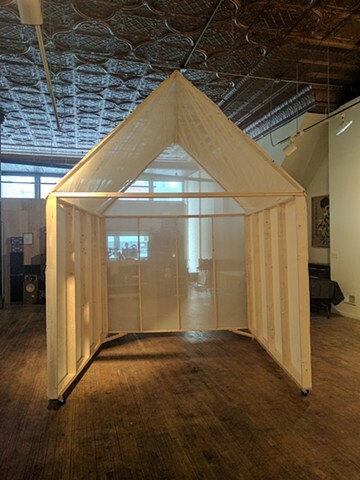 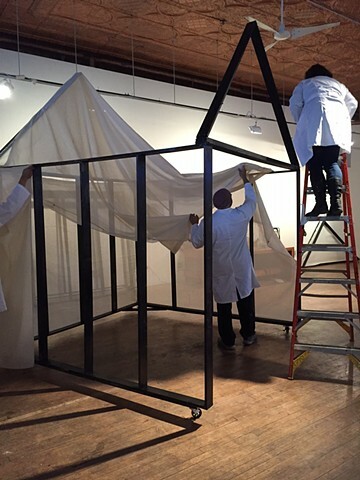 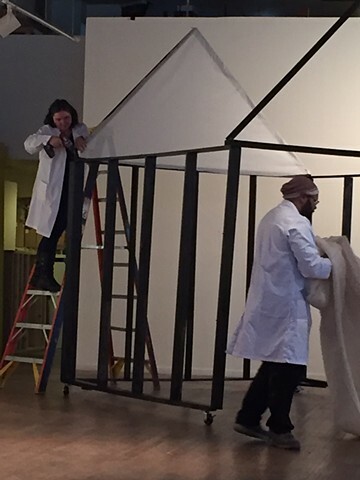 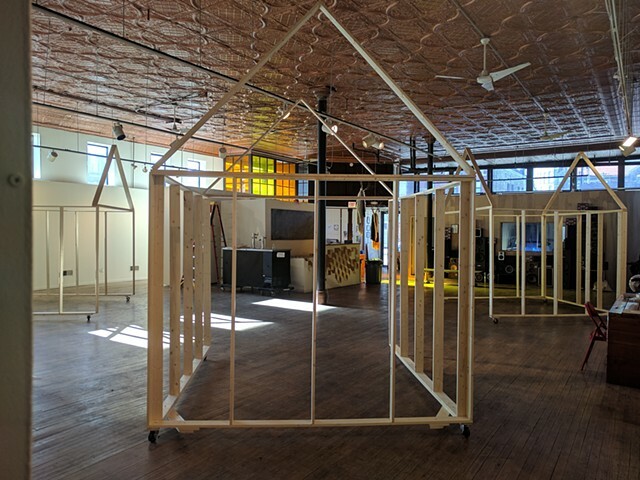 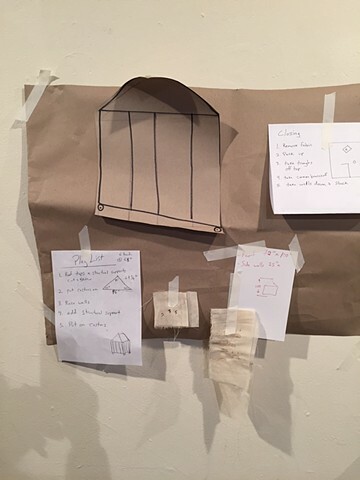 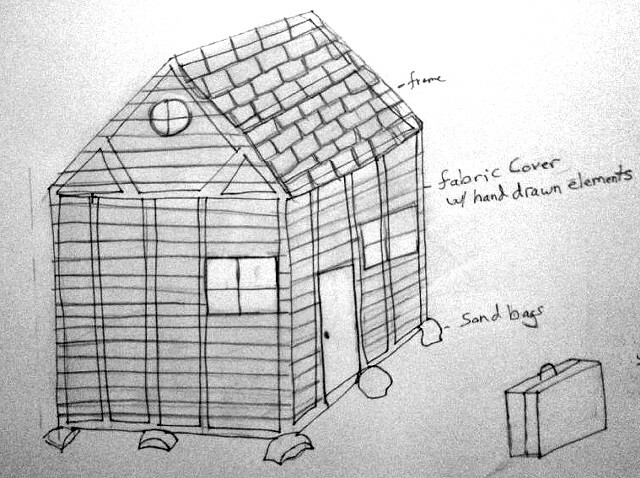 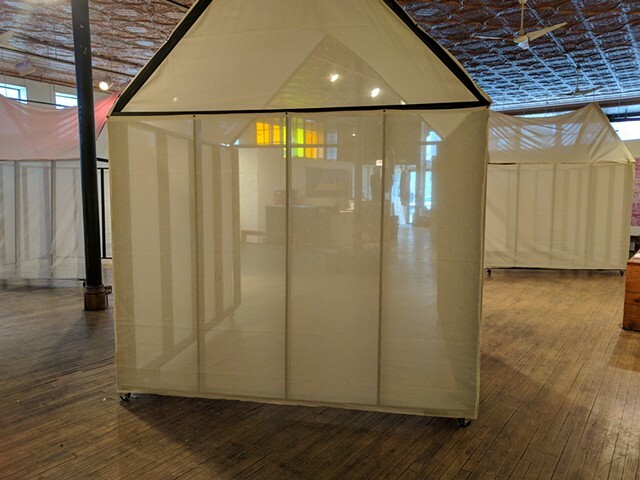 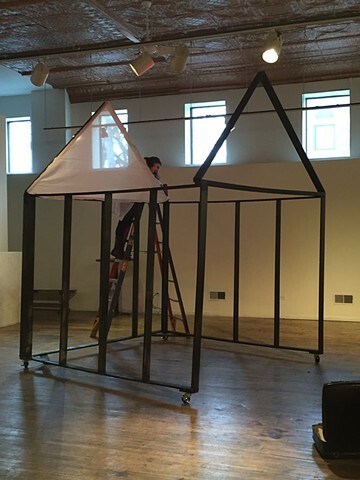 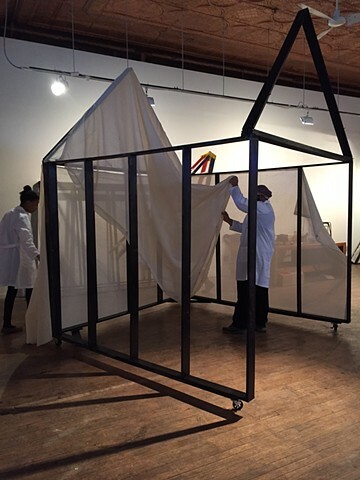 In Production of the Tramp's Community, I used the gallery as an extension of my studio to create three structures that are the set for the Tramp’s community as a part of the Tramp Project. 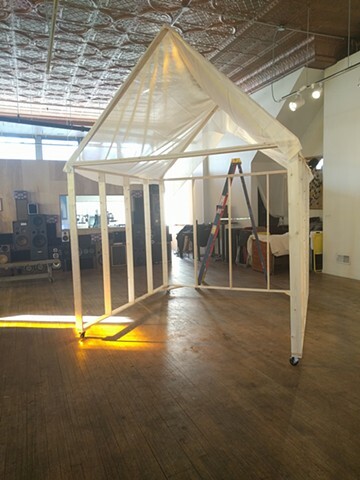 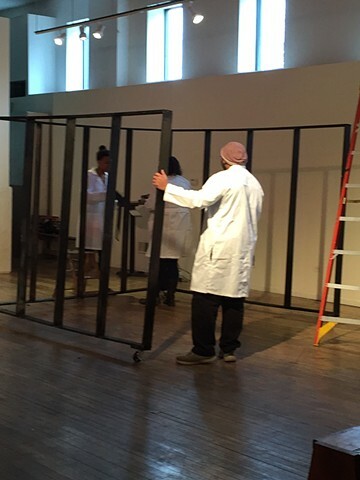 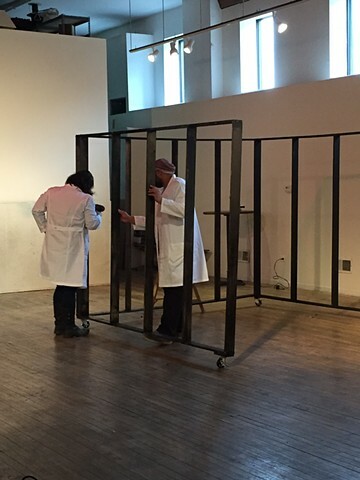 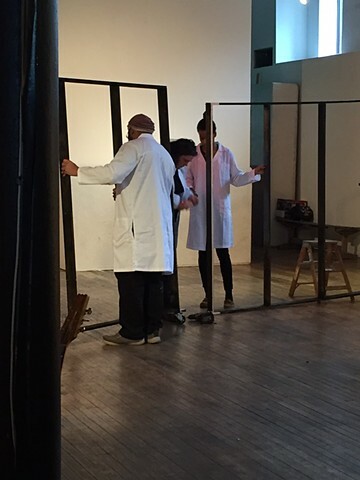 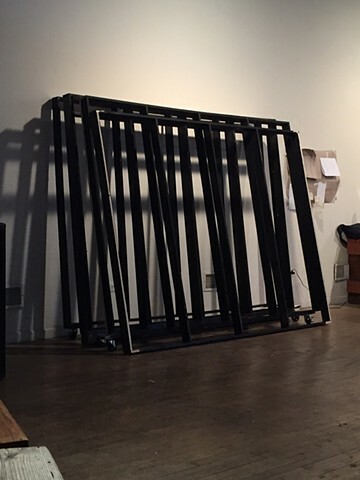 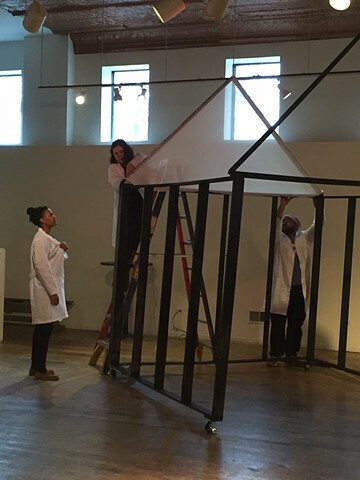 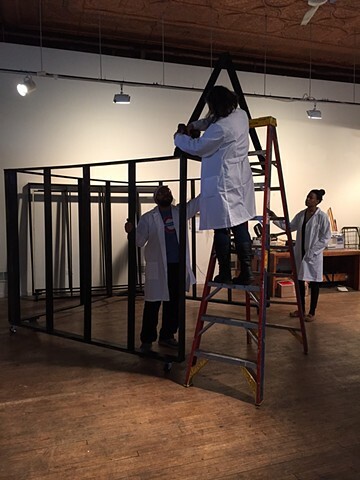 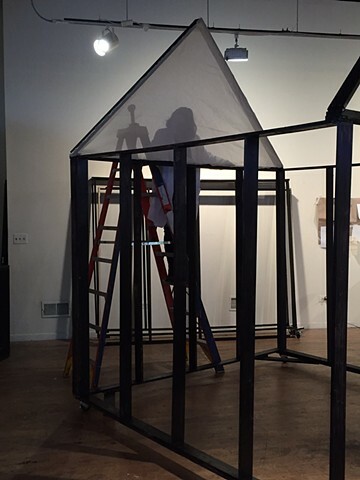 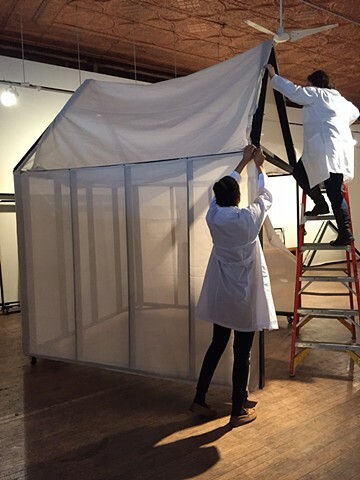 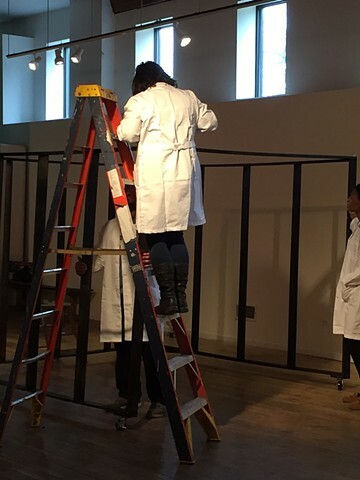 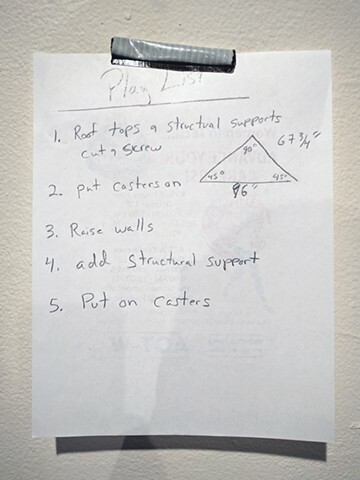 I worked in the space throughout the run of the exhibition to raise the structures. 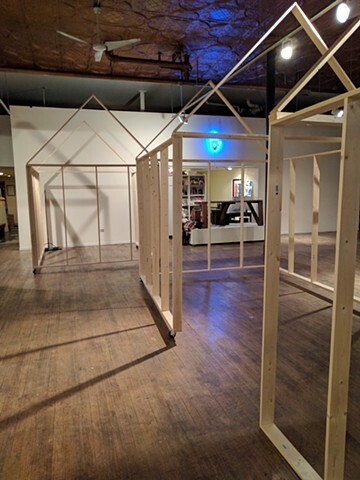 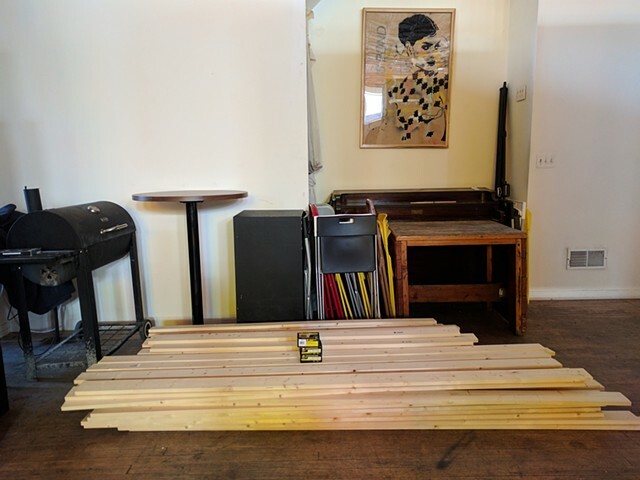 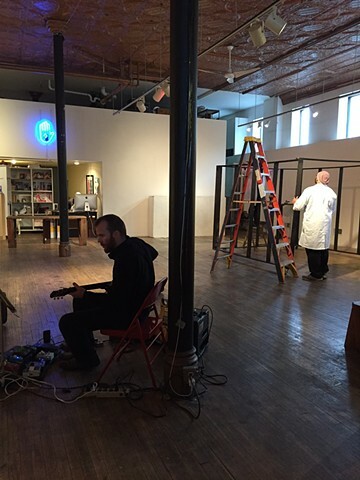 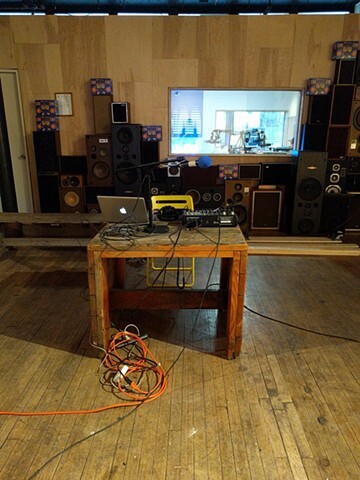 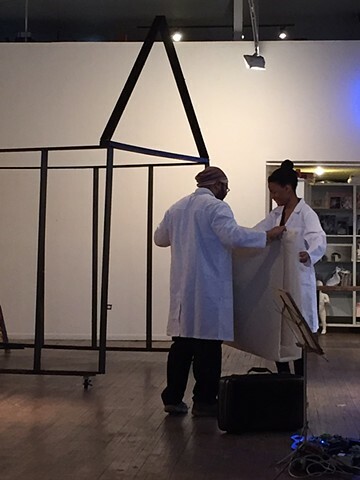 On the first day of the exhibit, listeners could tune into 105.5 FM for a live event of construction sounds mixed with DJ Catio O's radio show Planet Catio O. 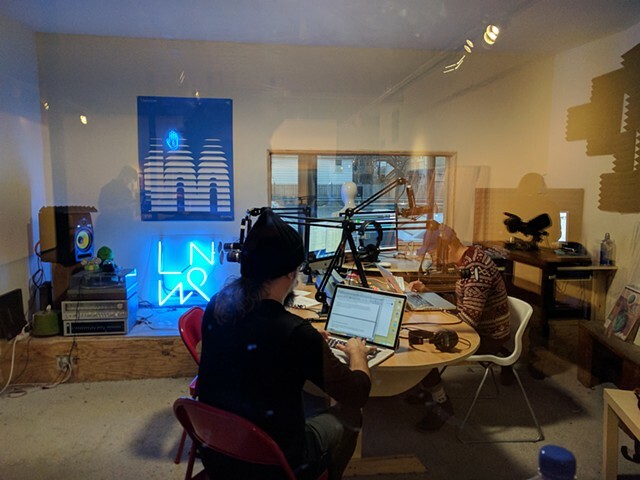 (http://www.lumpenradio.com/). 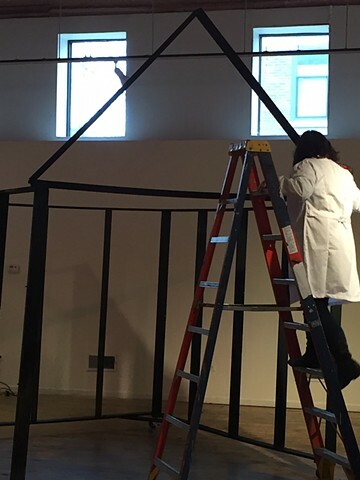 During this event, I used power tools to raise the “bones” of the houses. 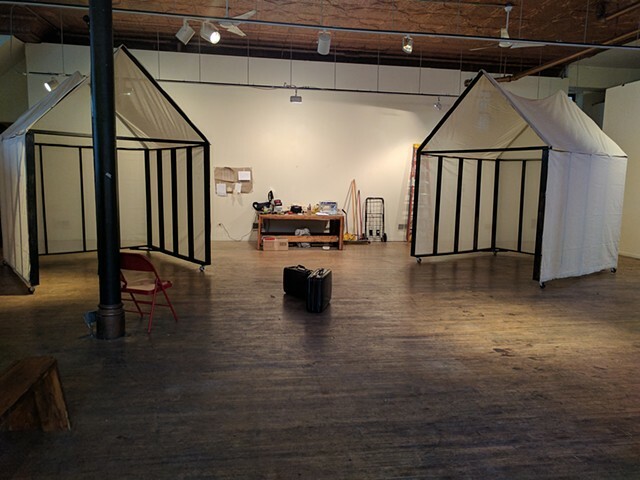 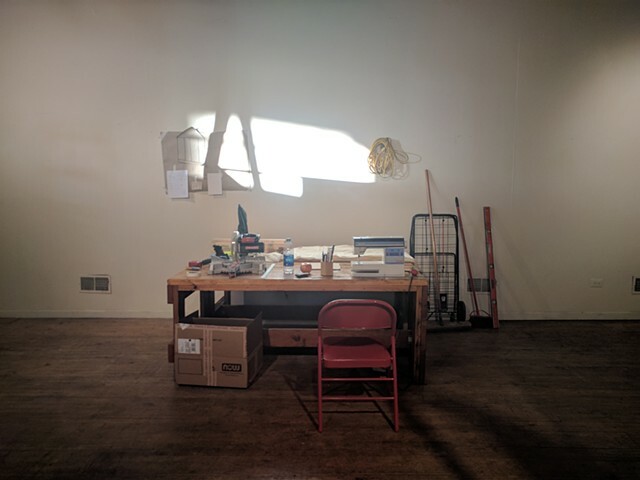 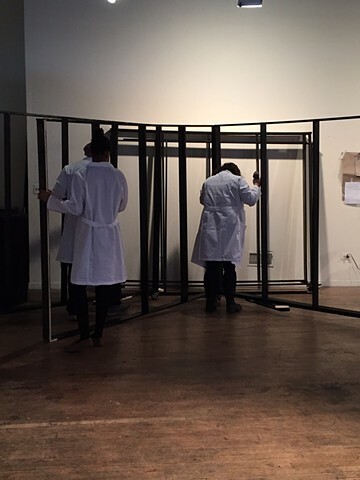 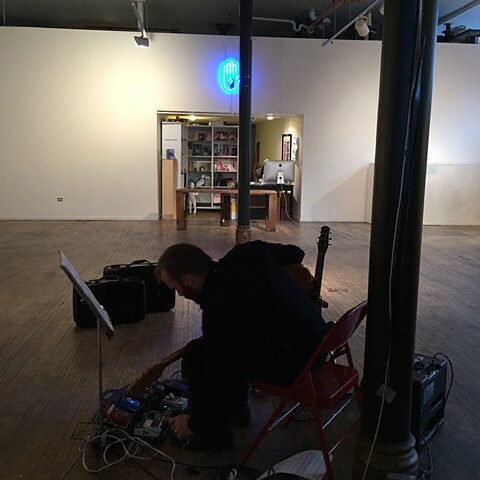 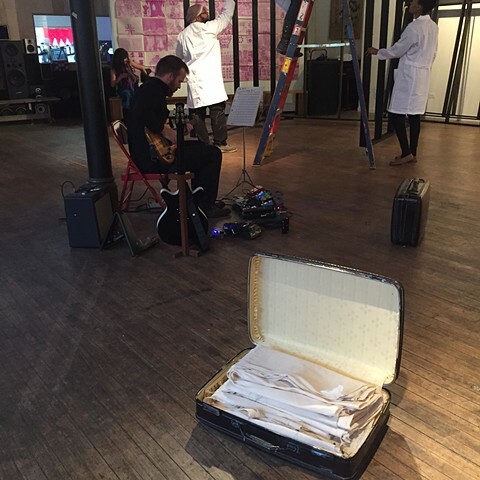 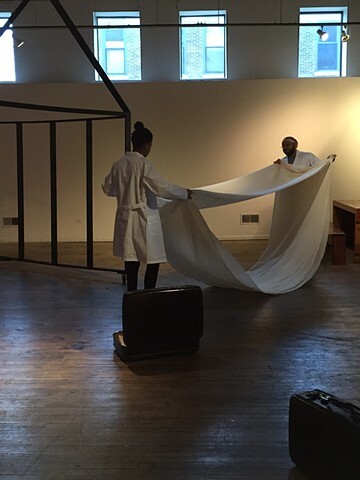 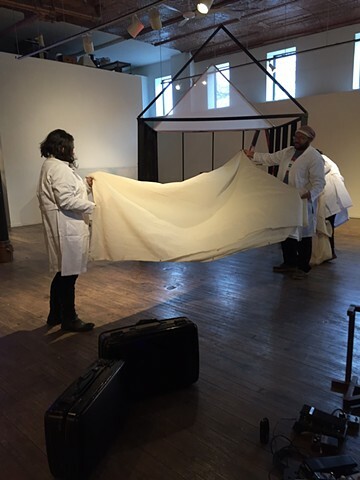 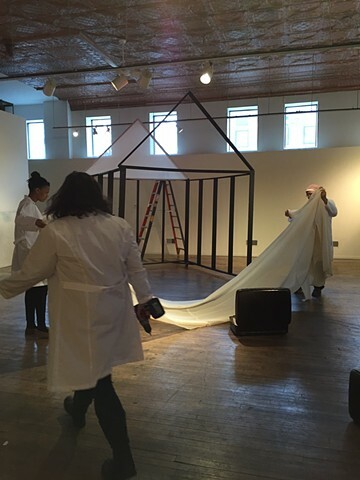 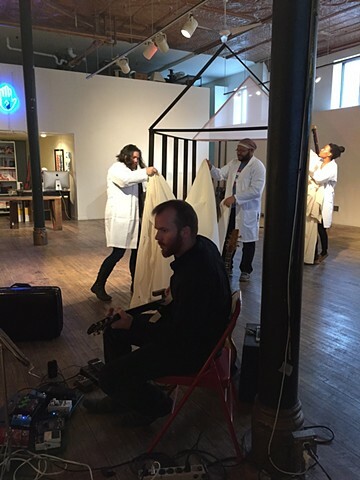 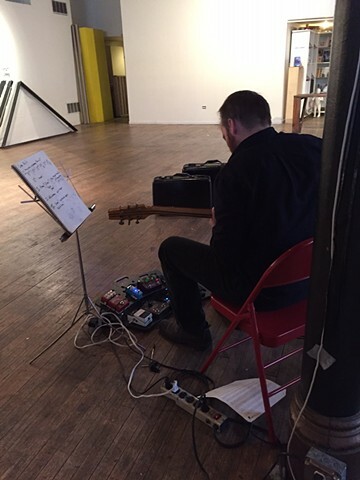 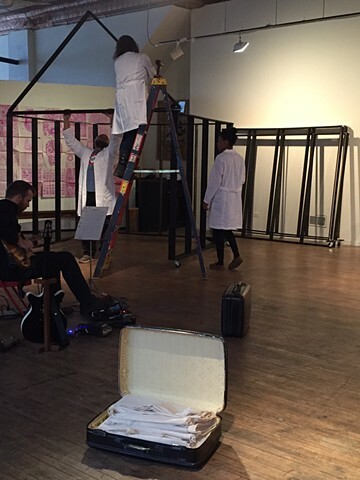 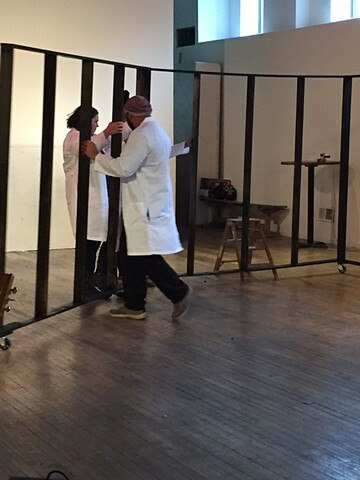 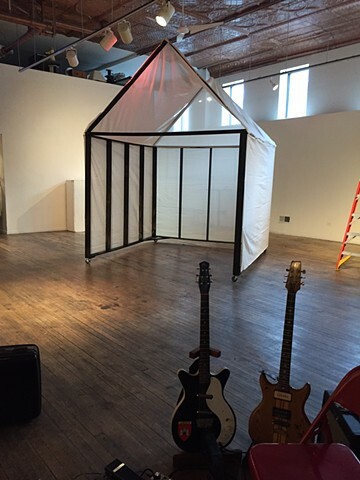 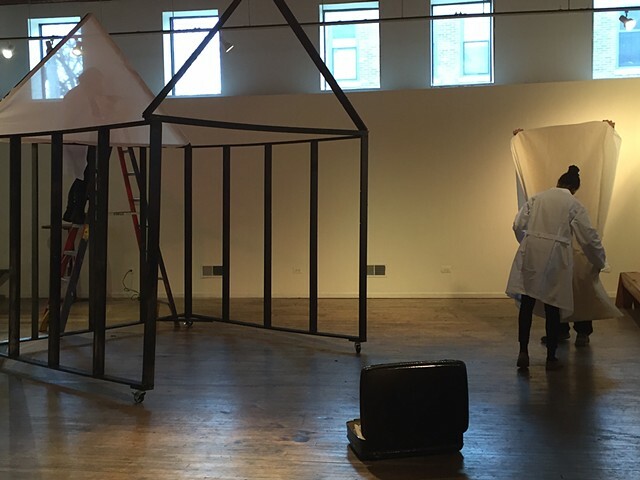 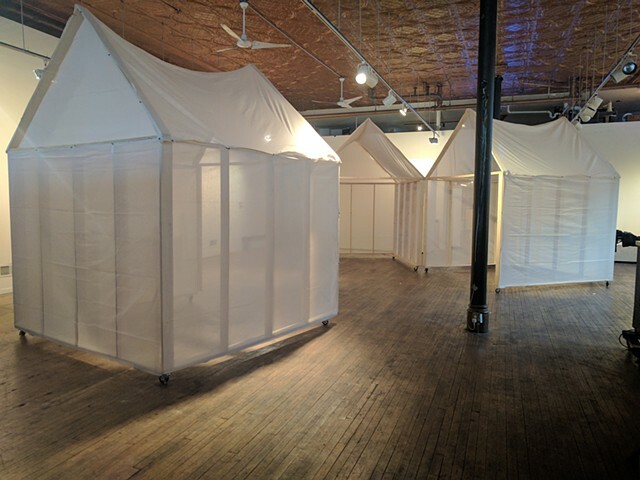 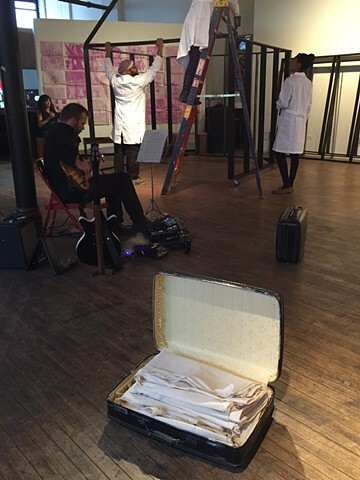 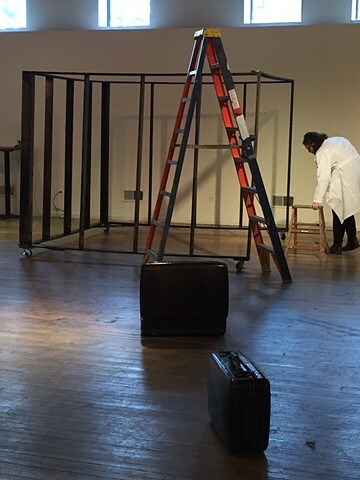 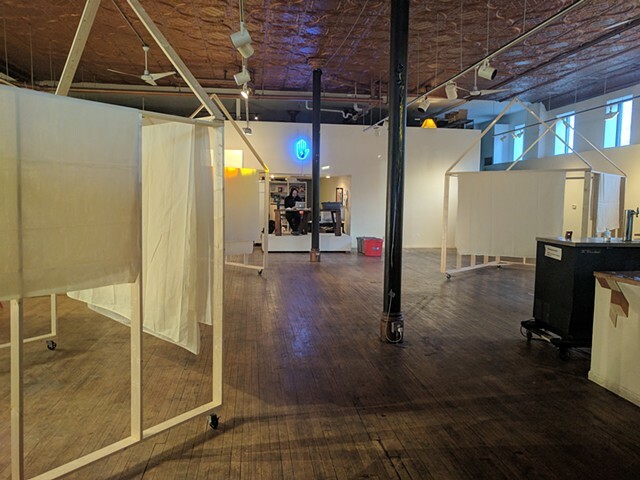 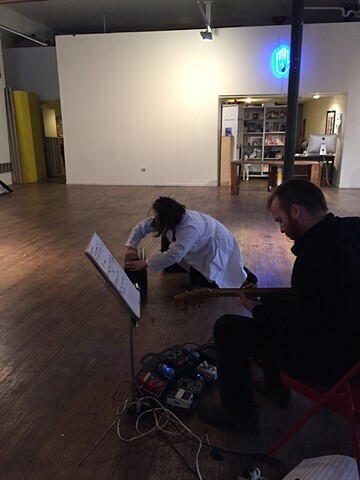 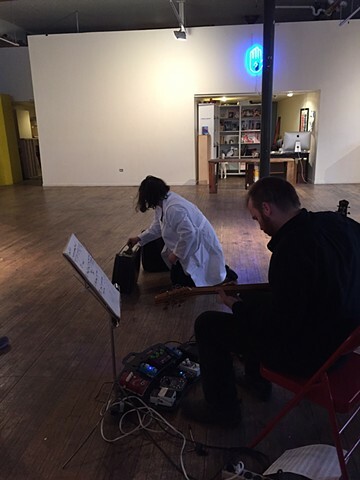 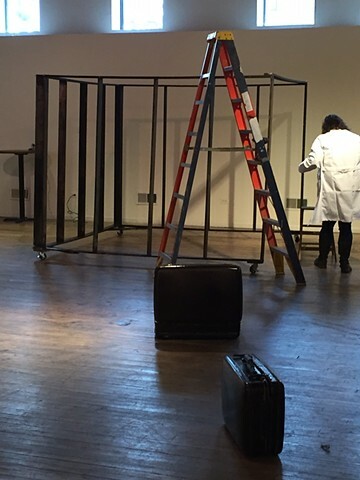 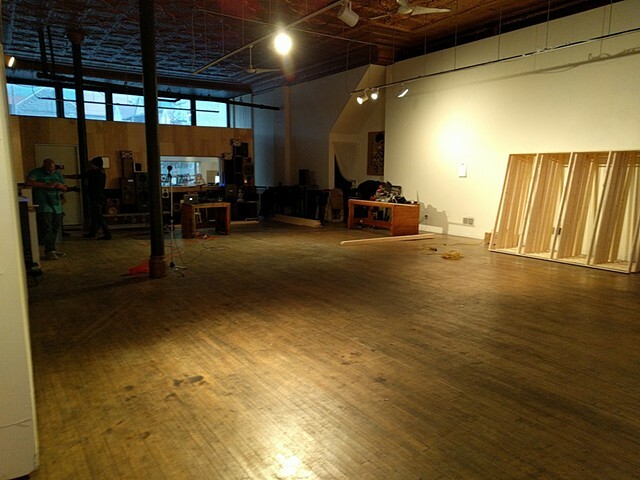 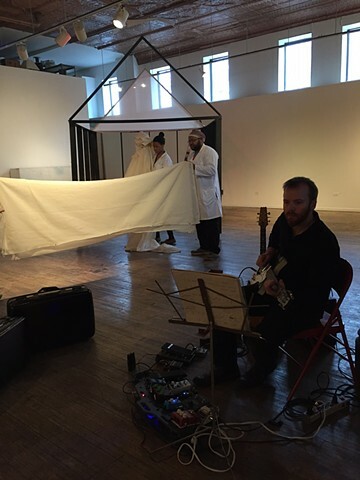 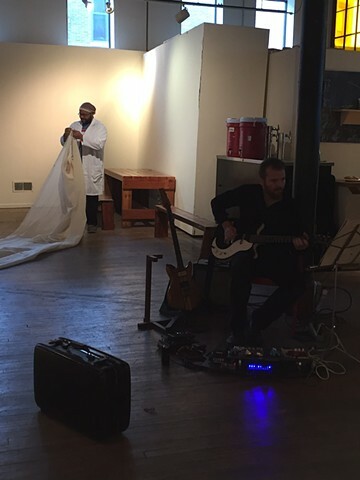 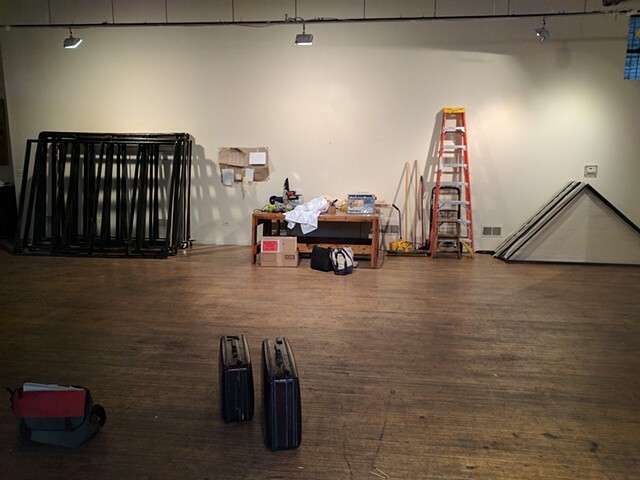 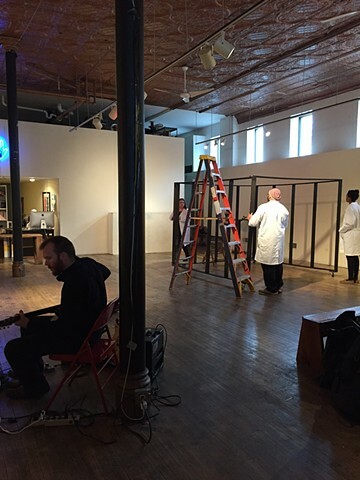 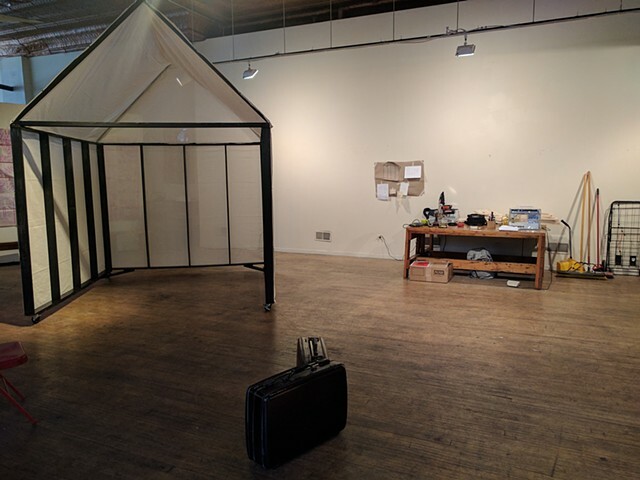 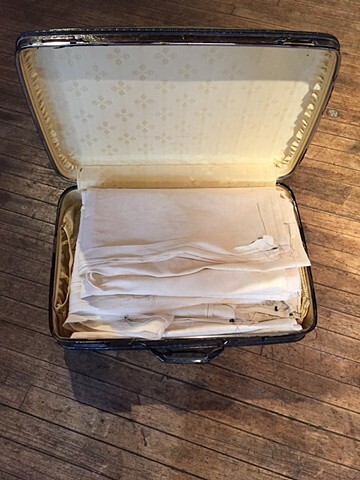 For the closing reception the forts were taken apart and their skins folded up into suitcases for traveling and storage to the improvisational sounds of Dan Sullivan.